AquaHawk Alerting is a free service for Firestone water customers to manage their water usage and lower their monthly bills. Customers must register to create a new account to access information and receive notifications. In 2012, the Town of Firestone began the installation of a new meter reading system that allows water meters to be read hourly down to a single gallon of water. The installation was complete in early 2014. 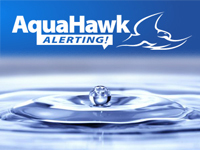 The new system allows water customers to view and manage their water usage through AquaHawk, which is secure website where customers can set up alerts for notification on possible water leaks, irrigation usage issues, promote water conservation, set monthly water usage budgets and receive alerts if a set budget is going to be exceeded.